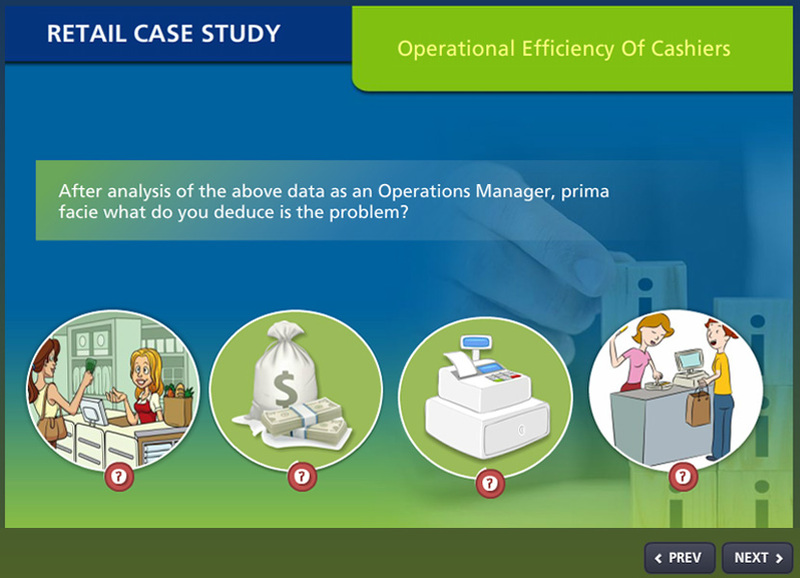 One of our leading retail customers wanted us to develop a learning course for improving the Operational efficiency of cashiers. They shared the common problems faced. Braahmam did end to end development for the customer and delivered a course that could successfully run on systems as well as mobile devices. Our instructional designers used branching to train the learners. They gave them a scenario and asked them to act and take decision based on the problem statement. The course became a great success with this practical, interactive and engaging approach of learning.